‘Sweet coin of mine’ isn’t going to be Guns N’ Roses next hit single, but their former drummer Matt Sorum has been putting a great deal of effort into the launch of a new crypto payment solution, called Artbit. 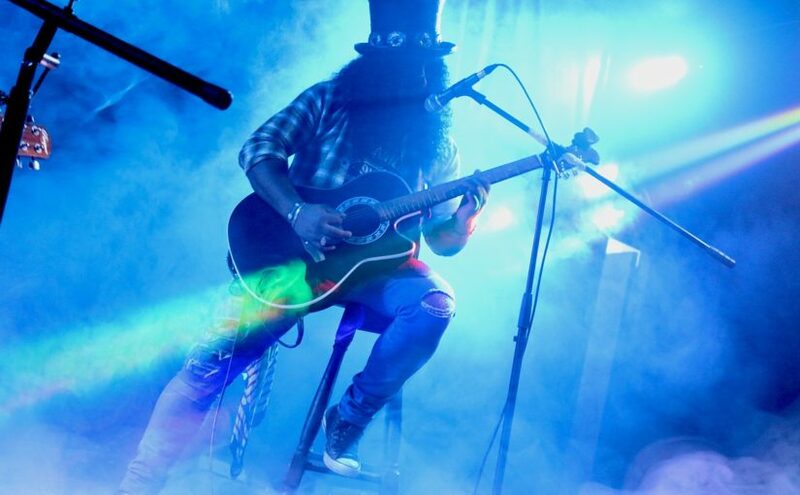 The Rock and Roll Hall of Famer, who was also a member of Velvet Revolver, is helping launch the payment crypto for artists, which is built on top of Hashgraph and works via blockchain technology. The aim of Artbit is for artists to receive their fair share of money after a gig and for that payment to be made into a digital wallet, without any middlemen involved in the transaction. Although it is still a little sketchy with the details, Artbit has announced that it will work using gamification and augmented reality. It is thought that artists and bands can generate income by posting and hosting live performances. The curating public will also have an option to take home a share of the pie. Sorum told Yahoo finance that he feels that this new currency is an essential development within the music industry. He said: “My interest is in cutting the middleman,That’s been something on artists’ minds for years. There’s all these people you got to pay along the way. With blockchain, imagine if you bought a song online for 99 cents and that money was automatically distributed straight to all the contributors—the producer, all the writers of that song. Sorum added that he believes the current industry isn’t working hard enough for the artists, but cryptocurrencies can change all that. He added: “Any new or young artist has really got to work really hard to even get on the front page of a platform like Spotify—and even at that point you can’t really monetize your art. There will be a token sale, but no details regarding the ICO have yet been released. Artbit hopes to launch by the end of this year.